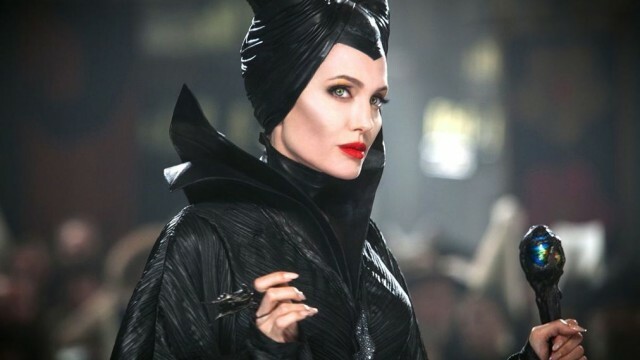 If fairytale villains had multiple dimensions, they would not be referred to as villains. As soon as a character becomes a “type”, the freedom to decide on the nature of such a character is taken from us, because in being labelled this way, the nature of an individual has already been decided. To put it simply, we are being forced to place judgement on characters we know nothing about, dismissing any possible motives as a result. One might ask why should we look into the motives of a villain? They have lived a life of treachery, regardless, and we should want them to fail. Where does this hatred come from? Certainly not from previous experience with single, career-obsessed women whose primary aim was to kill litters of dalmatians to satisfy her spot fetish. Although, in the unlikely event that you have witnessed such a horror, I can forgive you for not batting an eyelid when the film ends without any reflection on her reasons. But, to the rest of you, are you not even slightly curious as to how this terror of a human being came to be? I thought this even as a child. My focus would almost always be on the villain – who, come to think of it, was almost always female – because of this yearning to understand the woman behind the elaborate costumes and the booming cries for vengeance; a yearning that was hardly ever fulfilled. Prejudice can be the product of inexperience just as often as it can be the product of experience. This does not mean that a person will misjudge something without any regard for the context behind it, rather, it infers that a person will judge something that doesn’t have a context because no one has spoken of it. From this, one could conclude that audience members have been absorbing fictional characters with unexplained predetermined identities. Quite unhealthy, if you ask me. This is partly the storyteller’s fault for not explaining the reasons behind the identity, and partly the audience member’s fault for not feeling the need to ask – sadly this is part of our condition: the social condition. If a certain act is commonly considered “bad” or “evil”, there is no reason to understand the specific circumstances. So not only are we ignorant due to apathy and self-indulgence, we are also ignorant due to a lack of awareness. Some might argue this is not the case any more. That we exceeded this stage in human history as soon as the Internet emerged into our everyday lives, providing us with unlimited access to information about social and cultural issues all across the globe. And, indeed, we have progressed a great deal since becoming a global nation in terms of how we analyse an individual, a text, a landmark, etc. But let me clarify something: by “a lack of awareness” I do not mean a lack of information. I mean the failure, the disinterest, to understand the person behind the label. The idea that one size fits all – that no matter what your background, you must be under the same jurisdiction and associated punishment for a crime as that of a person with a completely different background – is utterly wrong. And yet this has surprisingly come to dominate the criminal justice system. When it comes to handling a crime, there should be more of a focus on rehabilitation and a consideration for the person’s context before throwing a careless teenager in the same cell-block as a hardened murderer. I will be more satisfied with society when individuals and fictional characters (among other things) are treated with more complexity than they are currently. Having said all this, I am not advocating a person’s right to continue inappropriate behaviour on the basis that they are the product of a rough upbringing and are therefore justifiably acting a certain way because of it, nor am I suggesting that it’s okay for someone to sit back and watch this happen without providing any consequence. For example (if envisioning your own example is a struggle), there is never a justifiable motive for domestic violence, so you quite rightly wouldn’t, nor should you, wait around to find out if there is. I merely resent the idea that a person would become so violent without the input of previous external stimuli. One way to view such hostility that wouldn’t be disrespectful to victims of abuse or to the abuser (if you even care about what the abuser thinks), would be to say that matters may not have gotten so out of control had earlier symptoms not gone unnoticed. It is only natural that we decide to respond when the problem becomes visible, but surely we are not so naïve as to think that a person will decide to become violent the very moment he or she acts out. Most outbursts are merely the high point of what was already a progression of violence; it just took an outburst for everybody to pay attention. To many, being alert prior to obvious symptoms can be tricky. What, after all, is an indictor of an awaiting lifetime of violence? Who should you be paying attention to? The quiet ones? The impulsive ones? The ones that don’t let their dogs indoors? Well first, you must know the signs before acting upon what movies and books have told you are signs. It could be as simple as asking and being answered truthfully. It takes two to tango after all – assuming that the person you ask will cooperate. We can’t very well wait for someone to approach us and admit: “I’m in trouble, I think I’m about to head down a path of a treachery and deceit, could you help?” Even then, one person can’t speak for all people with the same disease. I’m not suggesting special treatment, I’m restating my point: that one size doesn’t fit all.